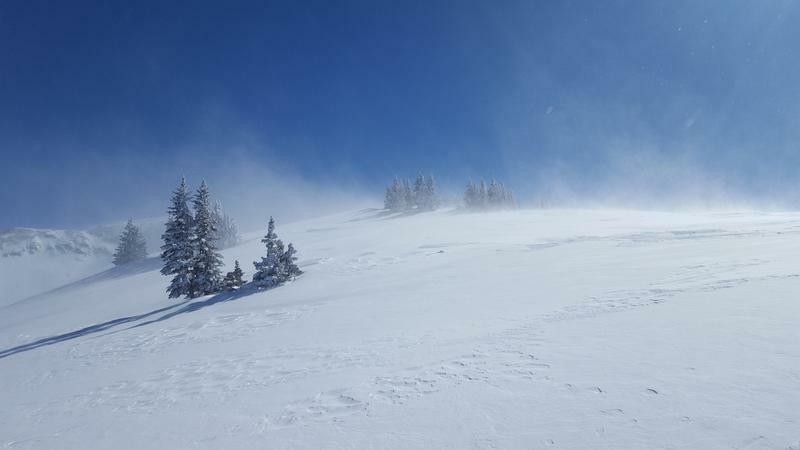 The wind was whipping on the ridgelines with substantial wind loading of north thru northwest aspects downwind of loose snow sources. We focused our effort on wind sheltered north faces in mid elevations today. Lots of good soft fluff to be had if you can outsmart the wind. Anything exposed to the wind this week and the new wind we got today has been reworked into all kinds of odd densities. However, there are plenty of sheltered areas to get the fluff. Wind loading was happening throughout the day. We noted a complicated network of wind slab related crowns in upper Talking Mountain cirque where some of the most intense wind loading was occuring today. 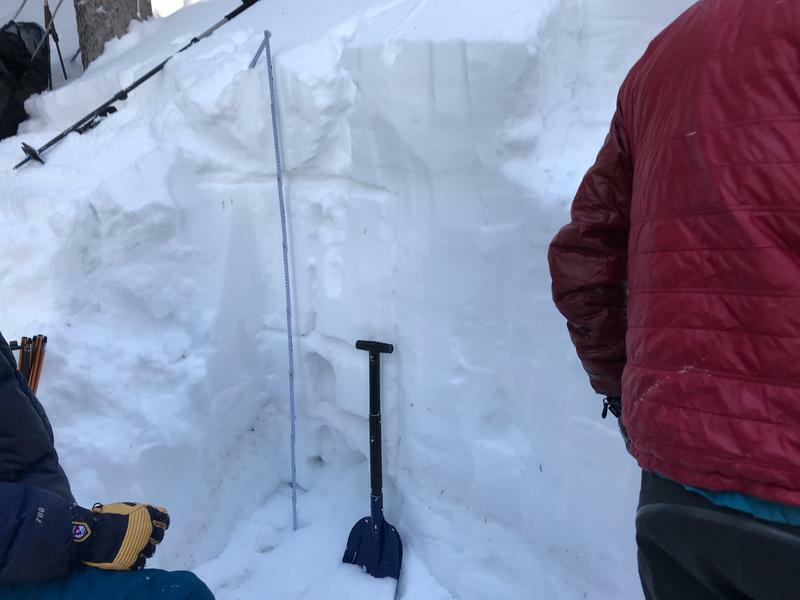 Although we had good results in both and ECT (no failures) and CT test (CT23 with a very poor shear), there is still a couple layers of weak facets that a wind slab could step down to create a larger avalanche. 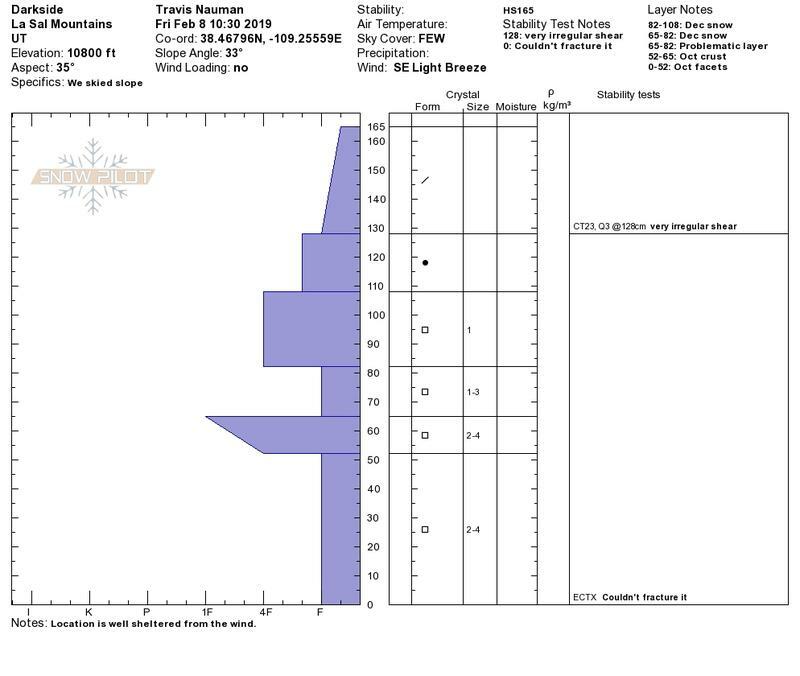 We still have some very weak faceted layers in our snow pack. We aren't getting results right now, and I think some deeper areas are bridging, but we still have weak layers in there. There will still be many areas that have not bridged due to lack of snow, or in areas that have had prior slides. We have seen a couple repeaters this year that continue to slide on the old facets. Wind loading on Pre-Laurel Ridge. ECT test with no fracture. Any legit ECT ends with a couple gorilla slaps.